Bluetooth, iPod/MP3 Input, ALL-WEATHER FLOOR LINER PACKAGE, Aluminum Wheels, All Wheel Drive, Hybrid, Back-Up Camera. LE trim, MAGNETIC GRAY METALLIC exterior and MOONSTONE interior. EPA 48 MPG Hwy/52 MPG City! SEE MORE! All Wheel Drive, Back-Up Camera, Hybrid, iPod/MP3 Input, Bluetooth Rear Spoiler, MP3 Player, Aluminum Wheels, Keyless Entry, Steering Wheel Controls. ALL-WEATHER FLOOR LINER PACKAGE All-Weather Floor Liners, Cargo Liner. Toyota LE with MAGNETIC GRAY METALLIC exterior and MOONSTONE interior features a 4 Cylinder Engine with 121 HP at 5200 RPM*. "It provides high fuel economy (more than 50 mpg), a comfortable ride and a versatile cargo area. 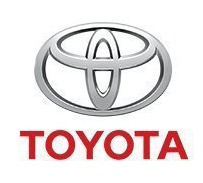 There's also the argument for peace of mind since Toyota certainly has a long history of making reliable hybrid vehicles." -Edmunds.com. Blind Spot Monitor, Cross-Traffic Alert, Lane Keeping Assist, Child Safety Locks, Electronic Stability Control, Brake Assist, 4-Wheel ABS, 4-Wheel Disc Brakes, Tire Pressure Monitoring System Great Gas Mileage: 52 MPG City.